I love Lego. It’s a great children’s toy that promotes creativity and it’s something that parents can enjoy with their kids. Also, their Star Wars line is exceptional. Starting way back with The Phantom Menace, and continuing today, I feel that Lego is the most consistently good Star Wars toy license (sorry Hasbro). 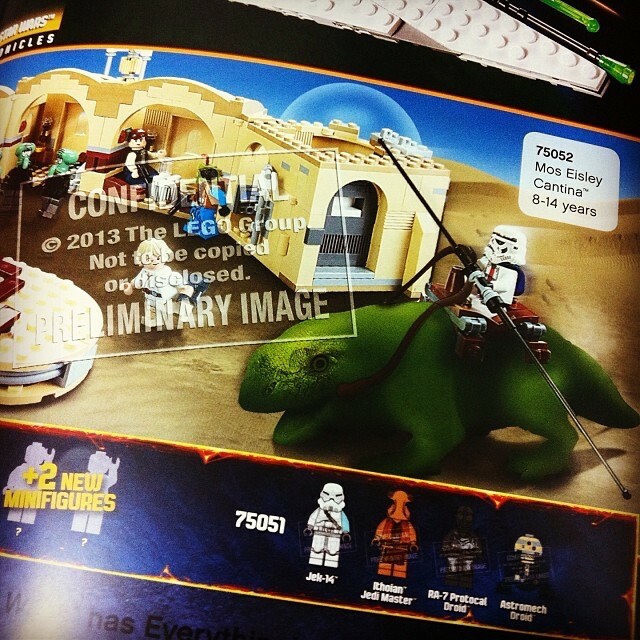 So I was excited when leaks of upcoming sets surfaced over the weekend. Jesse already linked to the images in a previous post but I thought I would delve a little more deeply. With that in mind, many were confused about the red clothed mini-fig seen in the Ezra Speeder set. It’s a good bet that this will be Sabine Wren. In the Rebels extended preview (about the 4:30 mark) we see Ezra and Sabine first meet as Sabine jumps onto the speeder bike that Ezra stole. I’m guessing this set is based on that scene. Sabine was the only member of the Rebels crew that wasn’t made into a mini-fig in the initial Rebels sets so she’s due. (Hat tip to Sal Perales for calling this one). Shadow Troopers are not new to the Star Wars universe or collecting. Almost any time a toy company releases a Stormtrooper, they will paint it black and re-release it as a Shadow or Blackhole Stormtrooper. It looks cool, the cost is low and everybody is happy. This actually isn’t even the first time Lego will be releasing a Shadow Stormtrooper. 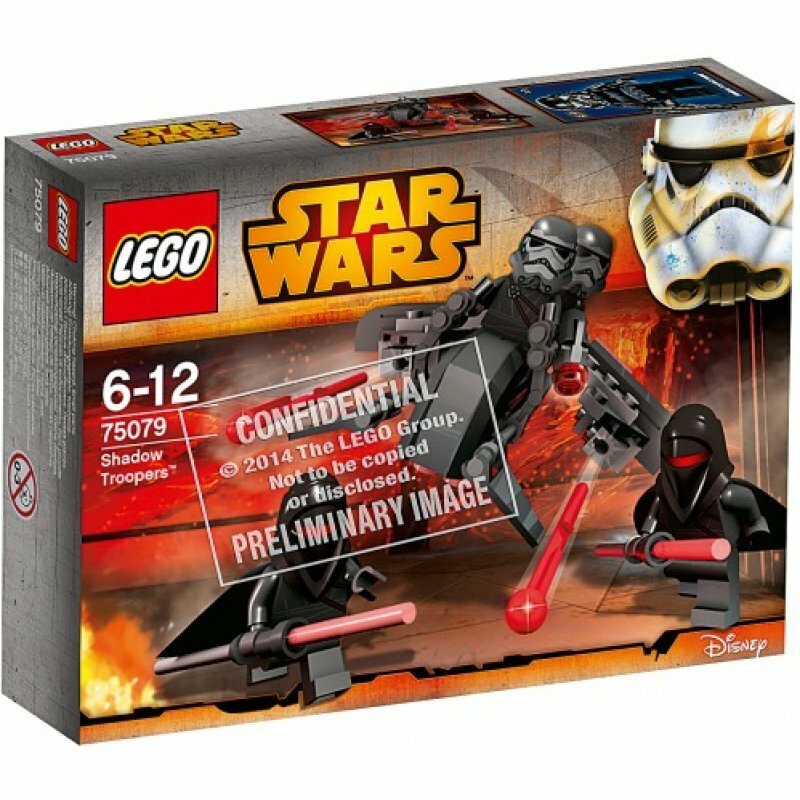 Back in 2007, they released an EU based TIE Crawler set with 2 Shadow Troopers. 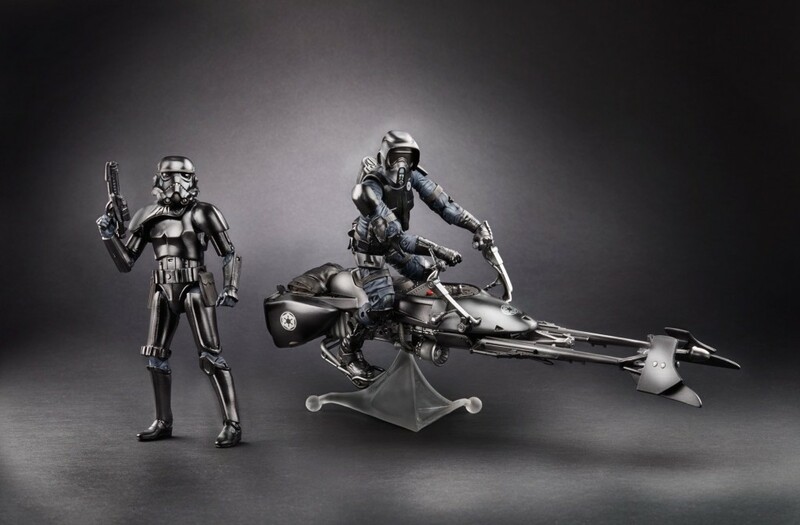 However, this upcoming set is particularly interesting given the generally accepted understanding in the collecting community that Lucasfilm wants only canon toys to be released going forward. 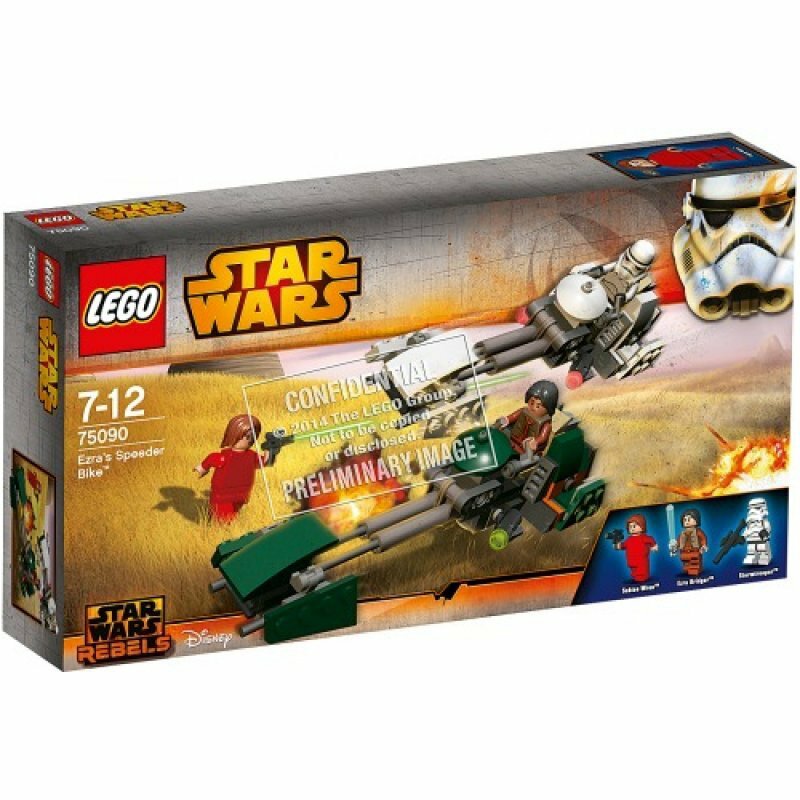 So, as Jedi Fred and others have pointed out, why are they releasing this set if it’s not in any canon appearance that we’re aware of? To add fuel to the fire, Hasbro is also releasing a set of Shadow Squadron Troopers in its 6″ Black Series line, which is supposed to focus on the core characters from the films. So what’s going on? Frankly, I have no idea. But there is a part of me that genuinely thinks we are going to see Shadow Troopers make a new canon appearance very soon. Hasbro’s figures alone might be overlooked, but Lego and Hasbro, two of the biggest Star Wars toy makers, both releasing Shadow Troopers tells me there’s more going on than we know currently. However, I don’t at all believe that these are Episode VII figures. It’s far too early for that. But we may very well see Shadow Troopers in an upcoming book, comic or other medium. For now, just enjoy these awesome looking toys! Last week StarWars.com announced that Star Wars has licensed with 50 universities across the country to release Star Wars branded college clothing. This makes no sense to me…but I’ll still be buying myself gear from my alma mater. I guess that’s the point. 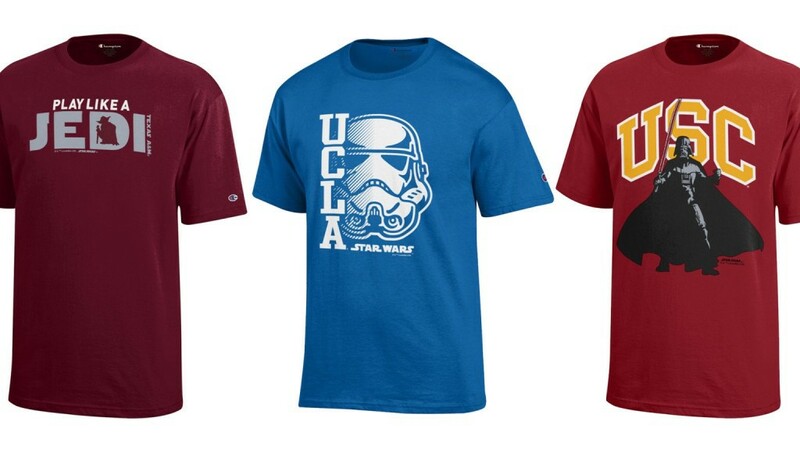 I don’t know what a Stormtrooper has to do with UCLA or what it means to “Play like a Jedi”, but people love their colleges and they love Star Wars so put them together and…$$$. 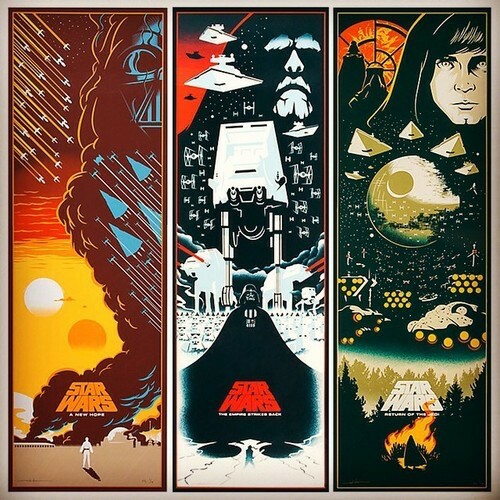 Disney recently released these incredible OT posters by artist Eric Tan. They’re flat out awesome. Unfortunately, they’re extremely limited (100 pieces each) and very expensive ($399 each). And if anyone wants to send me an early Christmas gift, I won’t object!